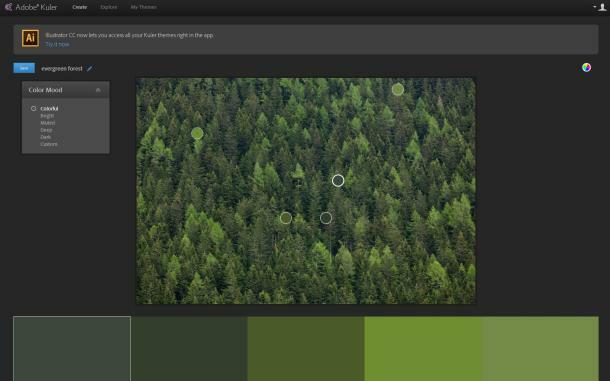 Kuler lets people assemble quintets of colors into a color scheme that's saved into their own archive; people can browse others' schemes as well. The colors can be imported into Adobe's Illustrator software, too. 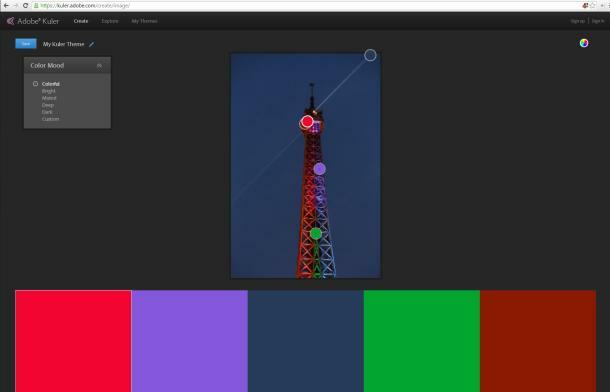 The original Kuler web app included the ability to extract a theme from an image. That feature is back. Just click the camera icon in the upper right corner of the Create page and choose a photo from your library. 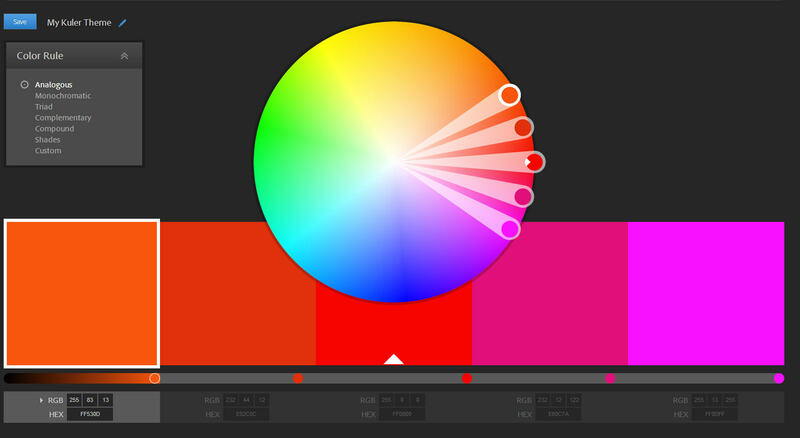 When we updated the interface many of our long-term users thought we’d made the color wheel too large. Now, with a click, the wheel can be larger when you need it and smaller when you don’t. Now you can see more of each color and the play and interaction between them.